So, we talked about the Chinese language, it’s alphabet and how to use radicals and combining characters when studying this language. But, you know what else helps? Reading articles and books, like Chinese science fiction ones. And although your level might not be high enough to read them in the original language they were written in, you can still enjoy the amazing world of Chinese science fiction, which offers a glimpse into Chinese society. Chinese Science Fiction is a thriving literary genre, with amazing authors and a growing number of fans. Actually, as a huge SF fan myself, I just want to spread the word about the interesting world of Chinese SF. So let’s see some of the most popular and famous SF works and what they’re all about! Hao Jingfan got her undergraduate degree in physics, but decided to study economics having witnessed poverty and economic hardship in China. She obtained her undergraduate degree in physics and her PhD in economics at Tsinghua University, one of the best universities In China. She was awarded the Hugo Award for Best Novelette in 2016 for her novelette Folding Beijing ( 北京折叠), which was translated into English by Ken Liu. Hao’s Beijing of the future is a city where three classes live divided, each in a 48-hour cycle. We won’t reveal the whole story, but it revolves around the main character Lao Dao, a third-class waste processing worker who is trying to deliver a love letter from a graduate student from the second class to his love interest in the first class. The reason why Lao decides to go on this endeavour is because he needs the money to pay for exceptionally high kindergarten fees for his daughter. As we said, we don’t want to reveal too much, but anyone who has lived in Beijing (or any other megapolis, for that matter) will quickly realize why Lao’s poverty, inability to pay the rising school fees and an empty stomach hits close to home for many people. 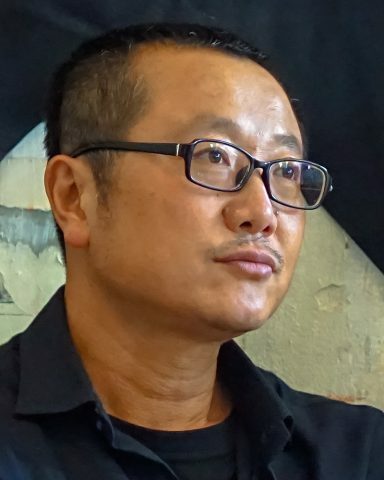 The Three-Body Problem (三体; sān tǐ) is a novel written by the Chinese writer Liu Cixin, nine-time winner of the Galaxy Award and the Hugo Award. This is the first novel from the trilogy Remembrance of Earth’s Past, but fans usually refer to the whole trilogy by the title of the first book. In this famous novel which is in the beginning set during the Cultural Revolution we follow the scientist Ye Wenjie who emits signals to extra-terrestrial beings and then alerts them to Earth, because she believes humanity needs a serious wake up call. Again, we don’t want to say too much, but a combination of the Cultural Revolution, aliens and the diminishing belief in science (which rings so true today with the anti-vaxxers and “flat-earthers”) – well, that sounds like a recipe for success! Lao She’s famous, and only science fiction work, is a dark dystopian novel about a man who crashes on Mars to find himself in a land inhabited by Cat People. He soon gets acquainted with the new civilization, he even learns to speak Felinese, but realizes he is actually witnessing the demise of a civilization. Written in 1930s Lao She’s novel can be read as a dark satire of 1930s China and those turbulent times. 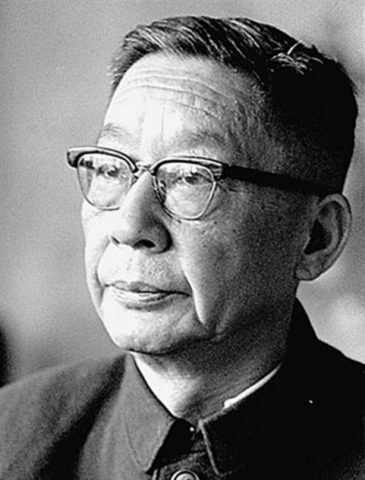 Lao She is one of the most famous Chinese authors, known for his novel Rickshaw Boy and his play Teahouse. 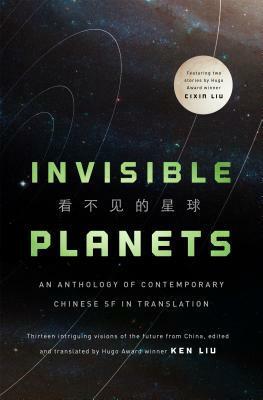 OK, so this isn’t a novel or a novelette, but rather a collection of contemporary Chinese science fiction short stories by some of the best and most famous Chinese authors, such as Liu Cixin (remember him? ), Chen Qiufen, Xia Jia, Hao Jingfang (her, too! ), Cheng Jingbo and Tang Fei. In these short stories the authors tackle various issues and topics modern-day China and the world face, such as youth unemployment, artificial intelligence, poverty and inequality. Chen Qiufan’s The Year of the Rat, for example, revolves around recent college graduates who, unable to find jobs, are forced to hunt for genetically engineered rats which are multiplying at an incredible rate. If the students manage to kill enough of the rats, they can return to their families. The author says he was partially inspired by the military training all high school and university students have to undergo and by the millions of freshly-graduated college students who couldn’t find jobs. 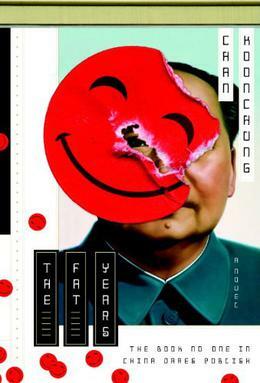 The Fat Years is a 2009 novel written by Chan Koonchung. Banned in China, the novel is set in the near future of 2013 (or near past, from present-day perspective) in which China has entered a golden age of prosperity, while the West has struggled with economic crises. 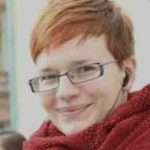 But a group of friends realize that there is a month “missing” from both the public records and official memory of the population – February 2011. Most famous for this novel, Chan Koonchung has lived in Hong Kong and Taiwan, before relocating to Beijing. He is currently working on the international board of directors of Greenpeace. So there you go! 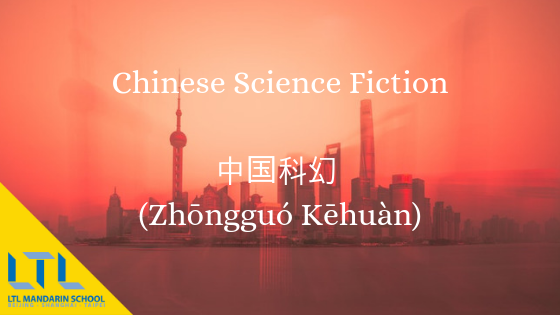 We hope we managed to spark your interest in the fascinating world of Chinese science fiction. Give it a try. In summary these are the five recommendations to get you into Chinese Science Fiction.